By now you definitely know which hijab style you like best and what you feel most beautiful wearing! But there are actually reasons as to why you enjoy certain ones more than the other. 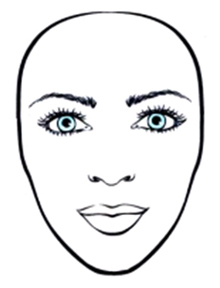 Depending on your face shape there are different looks that will flatter your features the most. Weâ€™ve done our research and are happy to share the best way to play up your face shape. Okay ladies with round faces! Step away from the tight hijabs! If you are wearing your hijab tightly pinned to all sides of your face it will make your face appear much rounder and larger. Keep it lose on the sides and make your forehead show more than normal. By accentuating your forehead you are naturally making your face look longer rather than wider. Last â€“ do NOT try to hide your cheeks! It will cause the opposite effect. An oval face is the most complimentary face to wear with a hijab. Therefore show it off! Keep things simple with this style â€“ let your hijab fall naturally around your face. It is already lovely so there is no need to pin it tighter or looser to accommodate for your features. 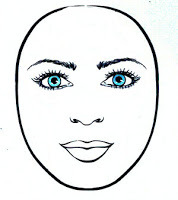 A square face has a strong jaw line that is defined and pointy. We donâ€™t want to have too much of a boxy look therefore keep the hijab tight along the sides but loose at the bottom to soften your jaw line. 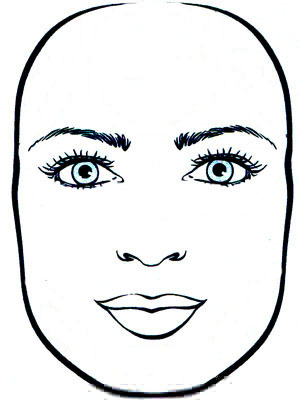 Show off your forehead just like you would with a round face! 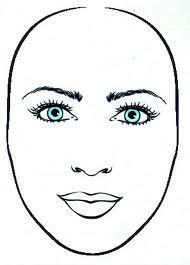 Place the hijab in a way that it is rounding the forehead not following the square outline. With a rectangular face you definitely want to try to make your face longer. To master this you need to pull your hijab to the beginning of your hairline and draw the sides of your hijab in towards your eyebrows. Donâ€™t cover your eyebrows but get nice and close as this will make your face appear much longer! Absolutely love this face shape â€“ but sometimes it can also be known as the disappearing chin face. Because you have a larger forehead and smaller chin it is important to play up the chin so that it is not completely overlooked. Frame the hijab right along your jaw line keeping it nice and tight. This will make it seem more prominent and appear bigger. Avoid trying to do too much with folding and volume on the top of your head you donâ€™t want to over power your face with a lot going on at the top and not much at the bottom! No matter which face shape you have they are all beautiful and all look phenomenal. These tricks are to help showcase the beautiful features you already possess! The post How to Wear a Hijab for Your Face Shape appeared first on Zahara.